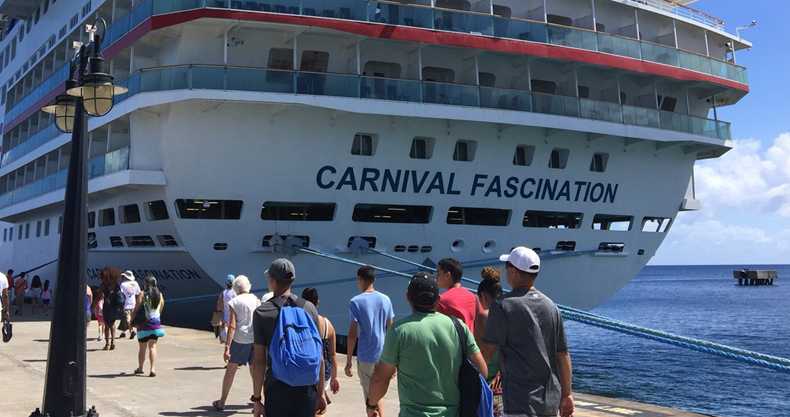 Vlasti u Portoriku istražuju smrt člana posade na brodu Carnival Fascination. Prema policijskom izvješću, mornar je identificiran kao 22-godišnji srpski državljanin Nikola Arnautović. Mladi muškarac koji je bio član Carnival Fascination posade pronađen je obješen u svojoj kabini u nedjelju oko 10.41 ujutro (14.41 GMT) nakon što je brod pristao na dok br. 4 u San Juanu. Slučaj su istražili agenti kriminalističkog korpusa (CIC) San Juan, sa državnim tužiocem na čelu. It is with great sadness that I Must inform you of the Passing of one of our teen Members, Nikola Arnautovic. Nikola was from Belgrade, Serbia and began his career with us in Jane as an Aquatic Attendant. He will be remembered as a kind and respectful young man. Although onboard short time, he was well-liked by all who knew him and he will he will be greatly missed by the Carnival family. Nikola leaves behind his father, mother and a younger sister, whom he spoke very highly of. His family has been notified and our Care Team is providing the necessary support. The loss of a friend and colleague s a difficult experience for all, and we realize some of you may be affected by this loss. Telephonic counseling is now available for any team member. Additionally, a counselor and a Care Team member will be joining the ship on Tuesday in Dominica, to make both individual and group counseling available. If you feel you would benefit from these resources, please let your department head or HR Director know. Please join me and the entire Carnival Family in keeping Nikola, his family and friends in our thoughts and prayers.